Some of you may know that if I had to choose a favourite cuisine, it would be Japanese. Talk about perfection in simplicity. As it turns out, I’m also quite taken with Modern Japanese, as I discovered with new kid on the block, Torissong. 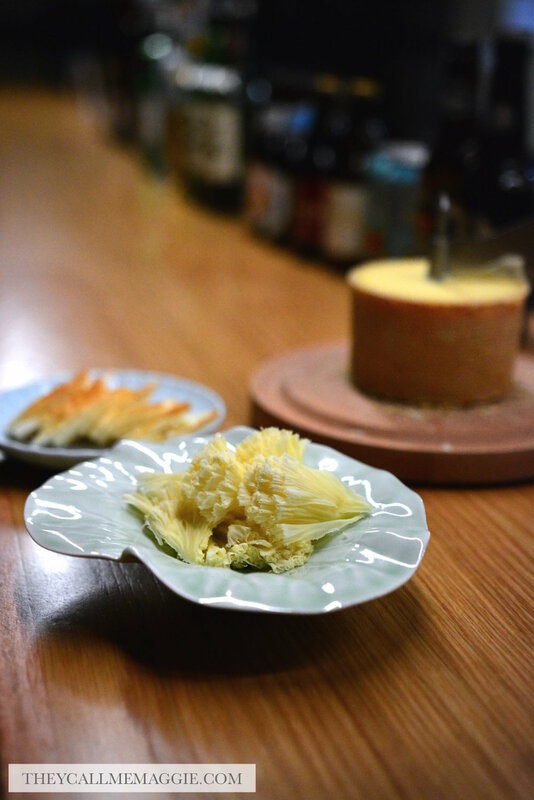 Japanese ingredients and influences are evident throughout the menu but often paired with other local/Western ingredients and/or cooking techniques that bring something more to the table. Robata grilled camembert roti, anyone? So good was our first visit during dinner time (an izakaya-style small bites menu, perfect for sharing) that I soon squeezed in another visit for lunch, this time enjoying their chirashi don rice bowl topped with sensationally fresh sashimi pieces while my friends tucked into some soupy ramen goodness. 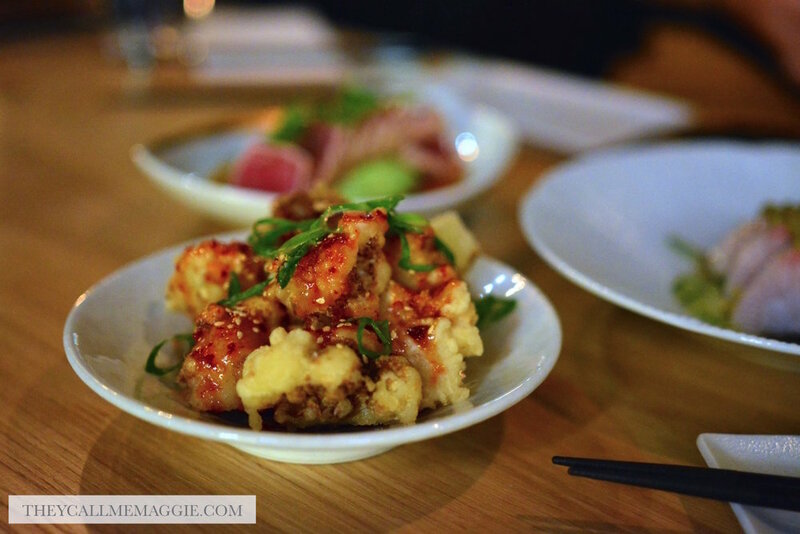 It came with no surprise that the eatery landed on my list of top 10 food adventures of 2018, and I look forward to returning for visit number three some time. Tuna tataki & avocado - Yellow fin tuna tataki with avocado, ponzu and spring onions. Robata grilled squid - with chilli soy and lime zest. Chicken katsu sando - Japanese styled sandwich with deep fried panko crumbed chicken breast, cos lettuce and wasabi mayo. Deep fried cauliflower - batter fried cauliflower glazed with sweet and spicy sauce. 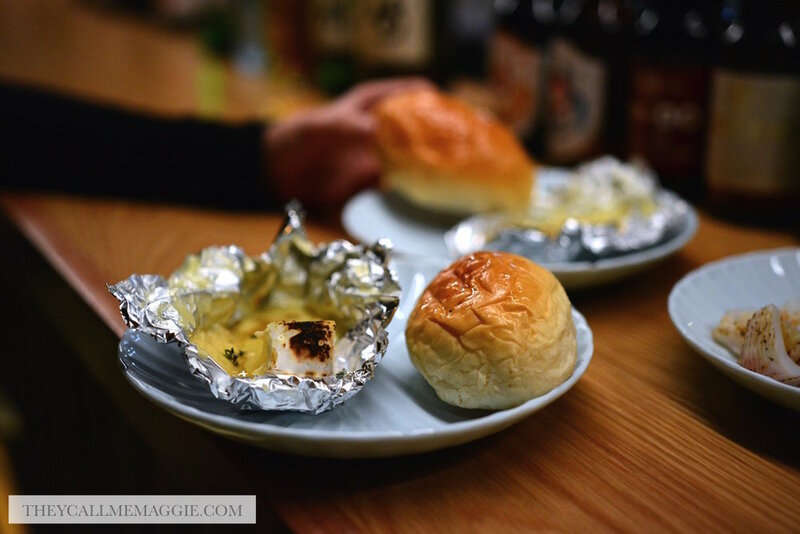 Robata grilled camembert roti - with honey and milk bun. 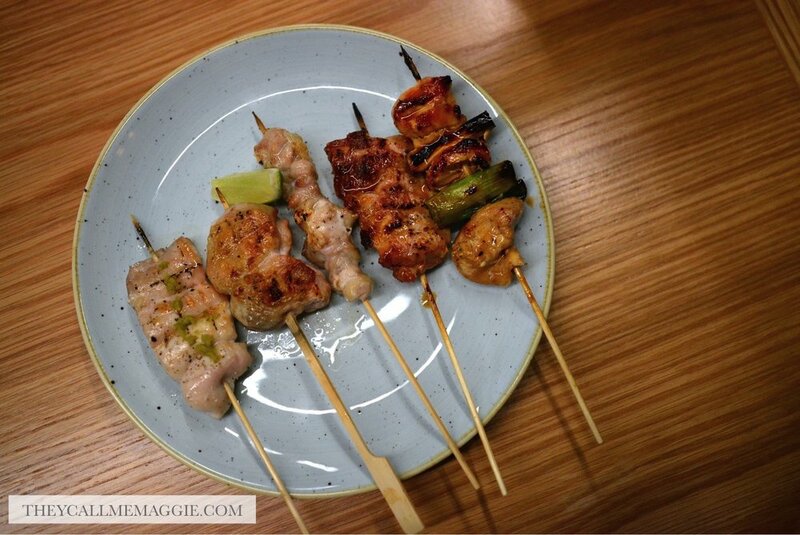 Chef-selected yakitori set - premium Hazeldene chicken. Chocolate mousse with orange - with crispy gold farro and dehydrated candied clementine. Tokyo style Shoyu ramen with slow-grilled pork belly. Yuzu kosho Shoyu ramen with sous vide chicken breast. Chirashi don - with sliced sashimi, avocado and pickles on sushi rice.